On Thursday morning, I woke up to the news that legendary music producer Paul O’Neill had passed away at the age of 61, as a result of chronic illness. The average reader may not know his name, but one would almost certainly be familiar with at least his most recent work, Trans-Siberian Orchestra, which has crossed genre boundaries to become a holiday season entertainment juggernaut over the past twenty years. O’Neill, along with fellow producer and keyboardist Robert Kinkel, had worked closely with the progressive metal band Savatage since their 1987 album Hall of the Mountain King (an album so iconic that Savatage founder and singer Jon Oliva has carried the nickname “The Mountain King” ever since). Guitarist Al Pitrelli joined Savatage for their 1995 album Dead Winter Dead, a rock opera about the military conflict in Bosnia, and the pieces were in place. 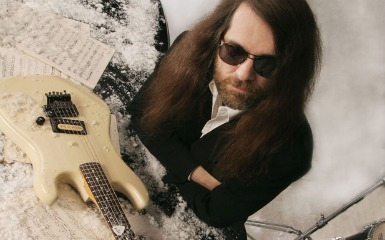 O’Neil, Oliva, Kinkel, and Pitrelli began working on other ideas and, springboarding off the single “Christmas Eve/Sarajevo 12/24”, which had first appeared on Dead Winter Dead, the Trans-Siberian Orchestra album Christmas Eve and Other Stories was released in 1996. The album was a runaway success, quickly going double platinum, and it remains their best selling album to date. O’Neill has said of TSO, "I wanted to take the very best of all the forms of music I grew up on and merge them into a new style. Basically I was building on the work of everybody I worshipped: the rock opera parts from bands like the Who; the marriage of classical and rock from bands like Emerson, Lake & Palmer and Queen; the over-the-top light show from bands like Pink Floyd." He did not disappoint. In 1999, the band began what would become an annual November-December tradition of holiday performances that are among the most popular concerts of the year, frequently selling out large arenas within minutes of tickets going on sale. Millions of people have loved music that would not exist without Paul O’Neill, and his passing will leave a hole in the music industry that cannot be filled. I have been a Savatage fan since High School, and I am among those who count Hall of the Mountain King as easily among the greatest albums ever recorded. Paul O’Neill was one of the chief architects of a musical sound I have loved more than any other, and his music has been a huge part of the soundtrack of my life. Seeing the headline that announced his passing was a blow, as a fan, and my heart goes out to his family and friends. His art was amazing, and he will be missed. I don’t know how much comfort that can be, but I hope it is some. I know this is somewhat rushed, but I wanted to put together a small tribute in memory. Rest well, Paul O’Neill, and know that you have brought joy to many. All music and videos are copyright to their respective owners and are used here only for tribute purposes.